Airbrush makeup is widely used in the movie, modelling, and entertainment industries. This technique offers a natural glow that can last longer than traditional makeup. A high-quality airbrushing kit is usually pricey, but it will give you superior coverage and long-lasting elegance. 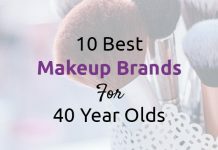 This article will help you look for the right airbrush makeup kit and why the technique is so much better than the conventional style. Airbrushing uses a spray gun to apply a thin layer of makeup to the skin. The makeup used is specifically created for airbrushing, but some spray guns allow diluted traditional makeup. The process is fairly easy: simply load the gun with a tiny amount of airbrush makeup and hold it inches away from the skin before spraying. Most, if not all, airbrushing kits have detailed instructions that you can follow. There are many good reasons why you should do airbrushing, instead of going the conventional way. The spray gun produces a thin and even layer of makeup that lets your skin breathe. It feels light, too. Brides love this technique because the makeup will not transfer onto any materials once applied. Moreover, airbrush makeup can last for up to 12 hours, with little to no touch-ups necessary. The airbrush makeup technique likewise some others, can take some time to master. A nicely done airbrush makeup can only be achieved through practice. If you plan to be a pro one day, then you will need to practice regularly to improve your skills. This is one factor that separates amateurs from the pros. What’s in an Airbrushing Kit? Airbrushing kits come in various designs and features. Each brand has its own pros and cons, meaning the best kit is one that matches your needs. If you plan to use it every day, then you will most likely need to invest in the quality airbrush kit that you can afford. You will also want to purchase a kit with replaceable parts to make the machine last longer. It may be ideal, however, to buy a cheaper kit if you plan to use it seldom. Compressor: This is the most important tool that helps the spray gun push the makeup out. It works by compressing the air and pushing it out of the gun to spray makeup onto the skin. Most units have either pressure settings or continuous settings to let you control the pressure. A continuous setting is ideal for beginner users. Models with more settings, however, tend to be more expensive. Airbrush Stylus: This is the spray gun that you hold inches away from the skin to spray makeup. It usually comes in single- or dual-action. The single-action stylus pushes down the trigger to release both the air and color, and the amount can be controlled using a separate dial or by moving the unit away or closer to the skin. The dual-action stylus, meanwhile, is the most commonly used as it offers better control. Gravity-Fed or Bottle Airbrush: Your makeup will come in a bottle or as a gravity fed cup. The bottle form lets you connect it readily to the gun, while the gravity-fed cup is where the makeup is loaded in and is mixed with the air. The cup allows you to easily switch between makeups, from foundation to bronzer and blush. You need to note that not all kits include makeup. If you want to maximize your investment, it may be wise to purchase a kit with makeup. You will want to look for a model with the following add-ons: concealer, correctors, eyeliner, blush, eye shadow, bronzer, and luminizer. On contouring and highlighting – You need a good highlighter to achieve the perfect jawline and cheekbones. You can either use a bronzer or foundation as your highlighter, or simply buy one that is specifically designed for this purpose. Make sure to buy one that is in the same color family as your foundation, but only a few shades darker. Apply it to your jaw, cheekbones, and/or along the nose. On bronzer and blush – These two help give your cheeks their natural glow with the chalky effect. You can mix the blush or bronzer with foundation to achieve a color that seamlessly blends with the rest of your makeup. On water-based products – They are ideal for people with sensitive and/or oily skin. The popular water-based brands include Luminess, Temptu, and Dinair. Airbrush makeup systems are not that expensive. They generally cost around $80-$100, while the professional-grade models are between $200 and $400. Airbrushing provides a smooth and even makeup that lasts the whole day with minimal to zero retouch needed. 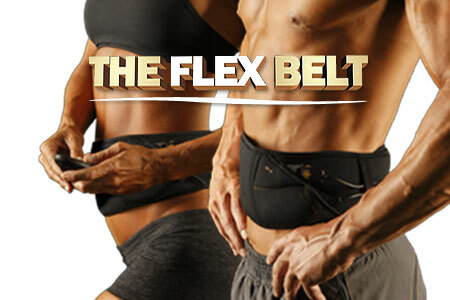 You can also use it for broader application, such as your legs, back, arms, or abdomen. Take note of the tips above, and you can find the right airbrush makeup for your needs easier than you expect. Previous articleIs Happiness the Cure to Obesity? Next articleIs It Possible to Make Money with Paid Surveys? How To Get Out Of Jury Duty: My Story, How I Did It. Igloo How-To: Build an Igloo with only some snow and a knife!